The British/German trio Konk Pack handles a gritty, writhing mass of electroacoustic sound/noise with the rare finesse and skill, one would only expect from veterans of the European improv scene. Puckish and virtuosic, Konk Pack has created a music that is as detailed as it is expansive. Their work possesses a potent mix of delicate textures interlaced with intermittent explosions of sound. The trio juxtaposes elements of weightlessness and heaviness, silence and clacking noise, to both seduce and terrify listeners. 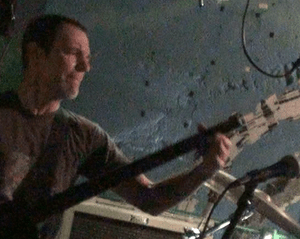 The Molecules with Pyramid Minds an improvisational group with ambient, minimal, and trance tendencies, led by Jeff Daniels (Burden, Blackest Lava), “The Moo Noo”, and Travis Woodson (Split Red, Electric Simcha). And Superlith – Trombonist Dan Blacksberg (who has performed with Anthony Braxton Quartet and Archer Spade with Nick Millevoi) and Casio keyboard modifier Julius Masri (Electric Simcha, Avant-rock band Lionshead, and Chakra Khan/Air Pirates also with Millevoi) formed Superlith, an experimental musical duo based out of Philadelphia. Jonah Parzen-Johnson describes himself as a saxophonist living in Brooklyn, NY, writing “lo-fi music for solo saxophone and analog synth about the feeling of joyful melancholy that comes from leaving stuff behind as the world conspires to push us away from our memories.” He recently took some time out to sit down for an interview with AMN. How did you come to focus on lo-fi music and solo sax? 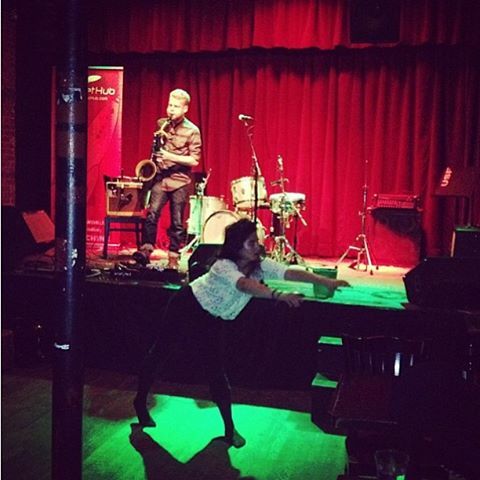 I’ve been interested in solo saxophone for as long as I can remember. I grew up in Chicago around a number of incredible creative musicians, many of whom were active in the Association for the Advancement of Creative Musicians (AACM). 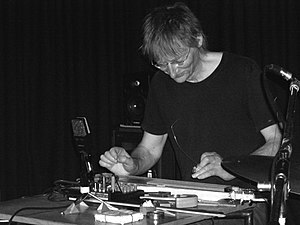 The one’s who I was lucky enough to study with, always put a high standard on the skill of putting together sets of solo music. However, it took me a long time to find a sincere way of approaching that kind of playing. It wasn’t until I started listening to solo recordings of Neil Young and then a lot of Appalachian Folk singers that I discovered a way of performing solo that really inspired me. Most of my solo writing is about finding the intersection between those two creative worlds. I try to capture a certain vocal quality in my playing, and because of this I am always looking for singers who are in the same range as my horn. Bill Callahan, who is a pioneer of the lofi movement, is the guy I end up coming back to the most. At first I just loved the way he phrased his melodies, and the way he used his voice. But eventually I fell in love everything about his music, from the way he put songs together, to the sound of his recordings. I draw a lot of inspiration from every element of his music. Can you compare the experimental music scenes in Chicago and New York? Why did you choose to move to Brooklyn? For instance, do the opportunities outweigh the competition? This is a really tough question to answer, and something that I think about a lot. I’d like to think that I’m an American musician, and that my style of playing isn’t tied to a certain region. But, obviously, I’ve been hugely influenced by both of these cities. There is an incredible experimental music community in Chicago that I was just barely becoming familiar with when I moved to New York (at age 18). What I’ve loved about living and working in Brooklyn for the last 7 years is the refusal to declare allegiance to any kind of music. Having an eclectic musical interests is absolutely essential to the music community in Brooklyn, and I am definitely a product of that attitude. The music I write for solo saxophone is influenced by Appalachian folk, experimental music of all kinds, indie rock, West African music, jazz, lofi folk, electronic music, Americana. All this different music is just woven into everyone’s playing, and that is a special thing. Describe some of the techniques you’re exploring with sax and synths. With my saxophone playing I try incorporate of a bunch of extended techniques with a focus on creating textures to enrich and contextualize the melodic elements of my music. I use a lot of circular breathing to build depth in my phrases, and I often sing independent melodies into my saxophone while playing lower notes to create multi-phonic sounds. On top of this, I’ve been working with a sort of self assembled analog synthesizer. The synthesizer is set up to be controlled by the tone and volume of my saxophone as well as a set of pedals and buttons that I can play with my feet. When I started incorporating the synth my goal was to create an instrument that I could play with my saxophone, instead of using it to effect my saxophone. What I’ve ended up with is two independent instruments with a lot of overlapping control parameters. How do you balance “free” playing and structure? I am a big believer in finding the freedom within rigidity. I consider myself a composer, as much as a performer, and I spend a lot of time putting together all of the facets of my solo music. But as soon as my structure is built I get to work on getting lost inside of the unlimited ways I can interpret every element of a composition. From the tonal character of my instrument, to where I place notes in the melody, to how crazy I make the textural elements of the songs, there is a lot of room for exploration. You spent a lot of time on tour recently. How did that go? Will you continue with such a heavy schedule in the future? I love being on the road. I really like to drive, and its an incredible way to meet people all over and see this Country up close. I hope to continue doing it as much as I can. Its definitely my favorite way to play music. How much of a living can you make as a musician, as opposed to working non-musical jobs? Do you expect this to change over time? Trying to make music into a source of livable income is a challenge. Its always been a challenge, and I don’t think I am going to be the exception. However, it is definitely possible, and the longer I struggle, the more it feels like there is a way to make it work. I feel very optimistic about it all. My new favorite band is Sylvan Esso, they only have a couple songs out so far, but I really like the way they combine a lot of the different ways of playing music that I love. I’ve also been enjoying Diamond Terrifier, Meredith Monk, Volcano Choir, and Cuddle Magic a lot lately. I’ll always come back to Wayne Shorter and Fela Kuti. Saxophonist, composer, and visual artist Oliver Lake is a living treasure whose broad musical output in jazz, free improv, and new music captures a relentless artist of active imagination, fiery passion, and virtuosic musical abilities. Lake was a important figure in the Black Artist Group (BAG), an influential arts collective that arose in St. Louis in the late 60s, which fostered the multidisciplinary practices of emerging black artists in free jazz/improv, poetry, visual arts, and dance. 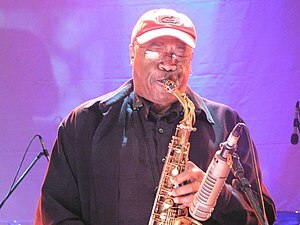 Upon his relocation to New York in the mid 70s, Lake started his deep immersion in the nexus of free jazz and improvisation and has collaborated with the likes of Anthony Braxton, James “Blood” Ulmer, and with David Murray, Julius Hemphill and Hamiet Bluiett in the World Saxophone Quartet. A 1993 Guggenheim Fellowship recipient for composition, Lake discusses the collection of string-based compositions that he will be presenting at his upcoming concert at Roulette, and reflects on an extraordinary career. François Bourassa, composer and pianist, leads Stories – a quintet of improv’s finest – create emotionally charged music full of fruity harmony and propulsive grooves. Think Louis Sclavis meets Amon Tobin meets Igor Stravinsky. Frogbelly and Symphony’s music ranges from post-punk and noise rock, to theatrical poetry performance. Liz Hanley’s operatic, playful and punky vocals are set against awkward time shifts and rollercoaster melodies one moment, and dramatic art-rock crescendos of crashing drums and choruses the next. With boundless energy, this band are “a flying asteroid, a bombastic piece of rock” hurtling across the stages of the world. Led by pianist/composer Dave Morecroft, WSP’s music speaks through dark, playful building passages, winding through dissonance, complex rhythmic manipulation and downright silliness. Drawing on the language of 20th Century Classical composers layered over the boisterous grooves of heavy rock, the result is high-octane, experimental but accessible music with a massive grin on its face. OZMA harness’s the thunderous verve of New Orleans jazz whilst adding elements of prog-rock and funk, with modes and rhythms borrowed from roots and world folk music. Originating from the celebrated Shunt Vaults, Orchestra Elastique are a diverse and ever-changing collective of musicians who represent almost as many nations as there are members. Thier live performance are entirely improvised, building from wishful dreamy motifs to furios psychedellic explosions.